We at Sori Brewing had a busy summer getting our business plans and calculations together. 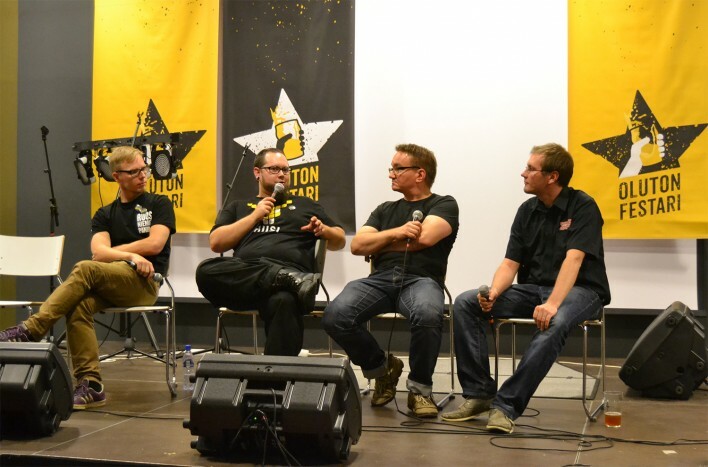 One of our most ambitious goals was to meet most of the craft brewers in Finland, and so we did. It was awesome to have such support to our plans and everybody cheered us up, “your brewery is gonna be amazing, keep up the good work”. You would think that words don’t matter, but they do. Many of those words gave us energy to speed up and make things happen. Thank you mates! Finns generally are not that social and least of all, public speakers. In our opinion, that is a big part of this business; initiating public discussion, educate people and of course, make your brand known. Sori Brewing is a brand that is created through people. With great beer come great stories. So far, you may have seen or heard us somewhere in the following events: 25.7. Suuret Oluet, Pienet Panimot, 8.-10.8. Pub Winston Olutfestarit and 21.9. Oluton Festari. 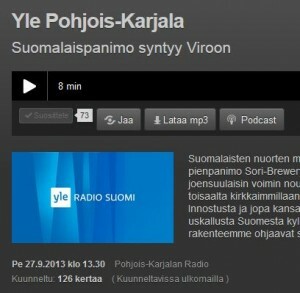 In addition, Heikki was interviewed on Finnish Broadcasting Company, YLE Radio (in Finnish), about Sori Brewing project and Finnish beer culture. So what are we preaching about? People are interested, how and why a Finnish craft brewery wants to brew in Estonia and what’s our story. We have also educated people how craft beer can be born global. We began touring with our own Investor Events. There we tell more about our business plan and investing possibilities. Our first event took place 30.9. in Satakuntatalo, Helsinki, Finland. All 50 seats were full of enthusiast craft beer lovers and people interested in investing in Sori Brewing. 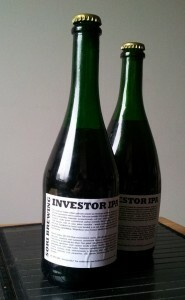 All were eager to taste our Investor IPA and Oaked Porter. Feedback was that we should talk less and serve more that great beer. More events are to come, follow our news in Facebook or Twitter. This autumn we will be busy establishing Sori Brewing Company and making the financing happen. That means we will be meeting potential investors, banks and so on. Since it’s not easy task to make a public offering in Estonia, we have a lot to do. Our plan currently is to start the stock offering in December. But there are so many variables in this situation, so keep your fingers crossed. In addition, we will publish our Investor Portal on our web page before the the issue of shares starts. All the information concerning the issue of shares will be there and available in written form in Finnish and in English. 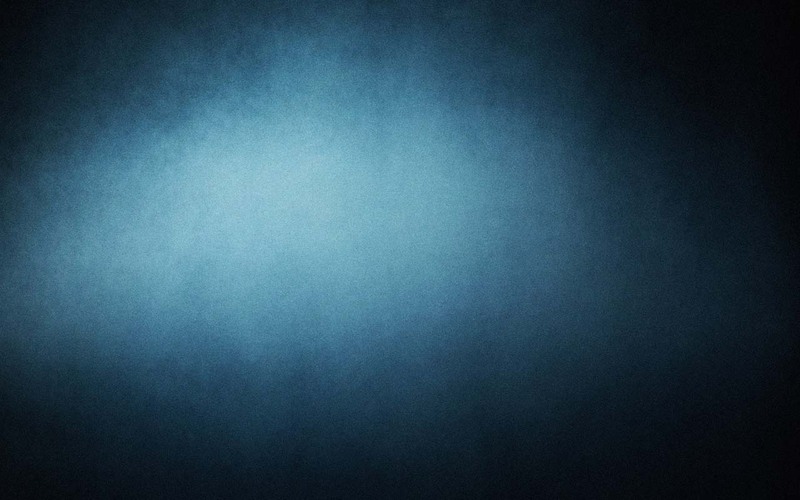 This gives all the interested investors an access to learn about our business plan, financial plans and what we have planned for the future, so you can make a calculated investment. You get your password to this portal by signing up for our investor letter. We are planning to launch our first brews in Finland in November. They will be available in selected beer restaurants in Helsinki, Tampere and Jyväskylä. More information to come, so stay tuned.